The Indian Harley Club was originally the idea of a Bunbury motorcycle collector and previous racer Harold Braund. Harold who had a large collection of vintage motorcycles felt there was a need for a club as he was sure there were others out there that shared his passion for vintage Indian and Harley Davison bikes. The club originaly only accepted Indian and Harley Davison motorcycles, but in November of 1979 the constitution was changed to allow other makes of motorcycles to be apart of the club. 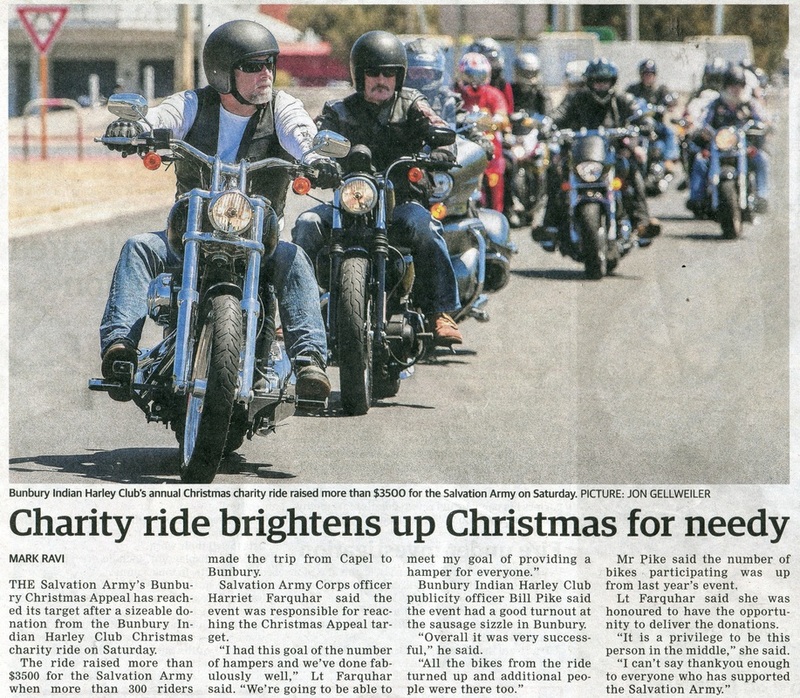 As time passed the club would move to its current base, The Bunbury Motorcycle Club's venue at the Shrubland Park Motorcross track on the North Boyanup Road. The club as we know it today is very active and hold many events, The two day rally the club runs is one of the biggest held in the state, this event has been run yearly since 1974 and attracts a large amount of entrys, The club is also the orginiser of the annual toy run held just prior to christmas to raise money for the Salvation Army Christmas Apeal, this event sometimes attracts more than 400 riders. Eric (Bolt) Blythe recalls: while researching the Indian Harley Club I came across many of the original members names, such as Fred Pitter, Rob Menzies, John Head, Ian Inglis, Collin Pitter, Len Glen, Norm Baxter and Norm Hart.